Elizabeth Haas Pfister passed away peacefully at her home in Aspen, Colorado on November 17, 2011. b July 23, 1921 - d November 17, 2011. Two dates separated by a dash. For WASP Betty Pfister, that dash represents an extraordinary life of trailblazing adventure, sacrifice, flying, record breaking, friendships, marriage, family, patriotism and service. 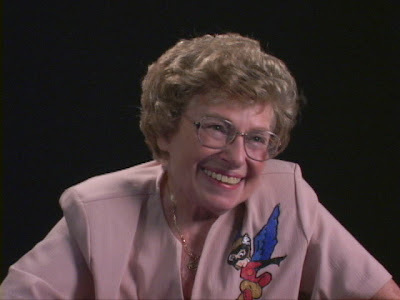 Elizabeth "Betty" Haas was born on July 23, 1921 in Great Neck, New York, to Bob and Merle Haas, the middle child, with an older brother and younger sister. She started school in Scarsdale, NY. Later, she attended Holmquist Boarding School in Pennsylvania-- and then spent her last 2 years of high school at George School. Upon completion of high school, Betty was accepted at Bennington College in Vermont. She learned to fly her freshman year, building up her flying hours each year. During her senior year, after receiving a telegram from Jacqueline Cochran inviting her to apply to join the WASP training program, she convinced the administration at Bennington to allow her to graduate early with a degree in Marine Biology. 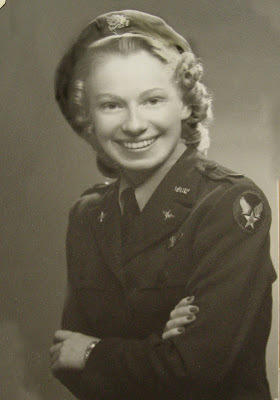 As soon as she graduated, Betty paid her way to Avenger Field to become a member of class 43-4. However, while Betty was in primary training, her brother was killed tragically in a catapult failure while flying torpedo bombers off a carrier. Betty went home to be with her family and, when she returned to training, had to join class 43-5 in order to get in all the flying and classes she needed to graduate. 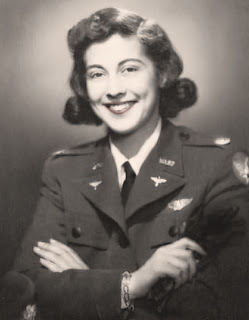 After graduation, Betty was part of the Ferry Command, and spent two years flying missions from factories to bases or to points of embarkation and test flying new aircraft. She flew many different types of aircraft from the single engine PT's, to the fastest pursuits, to co-piloting the four engine B-17. After the WASP were deactivated, Betty worked as a flight instructor and as a co-pilot for several 'non scheduled' airlines, flying DC-3 type aircraft. She flew as a stewardess with Pan-American Airways from 1948 to 1952 so that she could travel the world, flying out of New York to Europe and eventually San Francisco to the Orient. In 1954, she married Arthur Pfister. The couple moved to Aspen, Colorado, where they began a family and raised their three daughters. In 1963, Betty received her commercial rotorcraft rating and, just three years later, she planned and supervised the construction of the Aspen Valley Hospital Heliport--first heliport in Colorado. In 1968, she founded the Pitkin County Air Rescue Group. Betty remained president or the organization until she retired in 1991. This volunteer group of pilots continues to this day to initiate searches for downed aircraft or other emergencies in the Aspen area. Betty was responsible for encouraging the FAA to provide and staff the control tower at the Aspen Airport and served as an FAA Accident Prevention Specialist for several years. After she earned her balloon rating, she organized the Snowmass Hot Air Balloon Races from 1976 to 1983. In between, she found time to fly over the Alps twice in a hydrogen balloon. In 1973 and 1978, Betty was a member of the US Helicopter Team, competing in the world championships. In 1981, Betty founded and became the first chapter chairman of the Aspen Chapter of the Ninety-Nines, International Women Pilots. In 1984, she was inducted into the Colorado Aviation Hall of Fame. 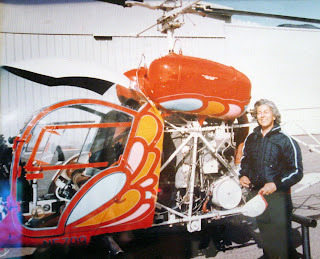 From 1985 to 1987, she was president of the Whirly-Girls, International Women Helicopter Pilots. Betty served as an international judge during the 6th World Helicopter Championships in France. In 1992, she was appointed as Chief US Judge at the 7th World Helicopter Championship in England. In 1992, she received the Katharine Wright Memorial Award, presented by the National Aeronautic Association. In 1994, she received the "Elder Statesman of Aviation Award," and the Livingston Award for Exceptional Contribution to the Recognition and Advancement of Women in Helicopter Aviation. She also received the Gold Medal Rotorcraft Award from the Federation Aeronautique Internationale in 1994. On March 10, 2010, surrounded by her girls, Betty, along with her WASP sisters, attended a special ceremony at the Capitol, where the WASP were awarded the Congressional Gold Medal for their trailblazing, patriotic and inspirational service in World War II. In September of 2000, mom and I were privileged to interview Betty and meet Art at their beautiful mountaintop home in Aspen, Colorado. Betty was a gracious lady in every way, with an easy laugh and a great passion for sharing her love of aviation with young people. Over the years, she sponsored aviation scholarships, sending young pilots to Embry Riddle, NASA's Space Camp, and eventually found local instructors to teach youngsters to fly. Her reason? "I've had a wonderful life --My tunnel vision my whole life has been aviation. ...my heart and soul have been in it for years. I'm trying to pass on some of the great love of aviation and the pleasure that I've received to some of the younger people..."
When asked what advice she would give to the next generation, Betty answered thoughtfully, "My main belief, I believe it right down to my toes, that if you want to do anything in life badly enough, you can do it. We all set our own priorities as we go thru life-- maybe your priority is to be an artist -- or maybe a musician -- any field you can think of-- and I think, if you really want it badly enough you can do it." She did, indeed. Betty will be missed by so many, but her legacy lives on, in the lives of countess young pilots and pilots to be, rescued skiers and their families and her community of Aspen, where she made such a difference. God bless her family and all of those whose lives she touched. "Being a WASP and winning my wings." On November 12, 2011, WASP Sylvia Dahmes Clayton took her final flight, flying higher than she had ever flown before where, "earthy limitations will hinder her no more." Sylvia was born January 20, 1920 in Redwood Falls, Minnesota, to Freida Otto and Robert Oliver Dahmes. Shortly before her birth, the family purchased a 160 acre farm. Sylvia and her older brother and younger sister grew up learning how to feed the chickens, pick apples, weed the garden, and play in the grain as the threshers moved through the wheat fields. Sylvia began elementary school in a one room country school house, where grades one thru eight were taught at the same time. The outhouse was in the back, and school lunch was at their desks, with whatever they brought in their lunch pails. To get to school during the frigid Minnesota winters, her dad would hitch up two horses behind a 'cutter' sled, and her mom would heat bricks and wrap them up for the bottom of the sled to keep the children's feet from freezing. In 1937, when Sylvia was a junior in high school, her father died, leaving her mother to fulfill his promise that all three of their children would finish college. Sylvia graduated as high school valedictorian and began her first year of college at the NW Institute of Medical Technology. After her freshman year, during the summer, her brother was invited to join the CPT (Civilian Pilot Training) program at his college. He convinced his sister she needed to learn to fly as the one girl allowed to sign up for the program. After transferring her credits to be closer to home, she applied for the program, passed the physical, and began learning to fly. Her first solo was on a little grass field with cattle running on it. Her instructor told her, "If you can't miss the cattle, you have no business being a pilot." After earning her BA from Western Union College in Ames, Iowa in 1942, Sylvia began working as a medical technician at Harper Hospital in Detroit, Michigan. She continued to build up her flying hours and, eventually, joined the Civil Air Patrol. It was then she learned about the WASP program. She applied, was accepted into the class of 43-5, and ordered to report to Avenger Field, Texas on March 23 at her own expense. After successfully completing the training program, Sylvia graduated, earning her silver WASP Wings. She was then assigned to the 3rd Ferrying Group based at Romulus, Michigan as a ferry pilot. She was soon selected and was temporarily assigned to attend pursuit school. After graduating, she returned to Romulus. As a ferry pilot, Sylvia picked up planes in Montreal and flew them to Fort Dix, New Jersey, where they were ‘packaged’ and sent overseas. She also flew new planes to and from modification facilities, delivering them to training bases or ports of embarkation. 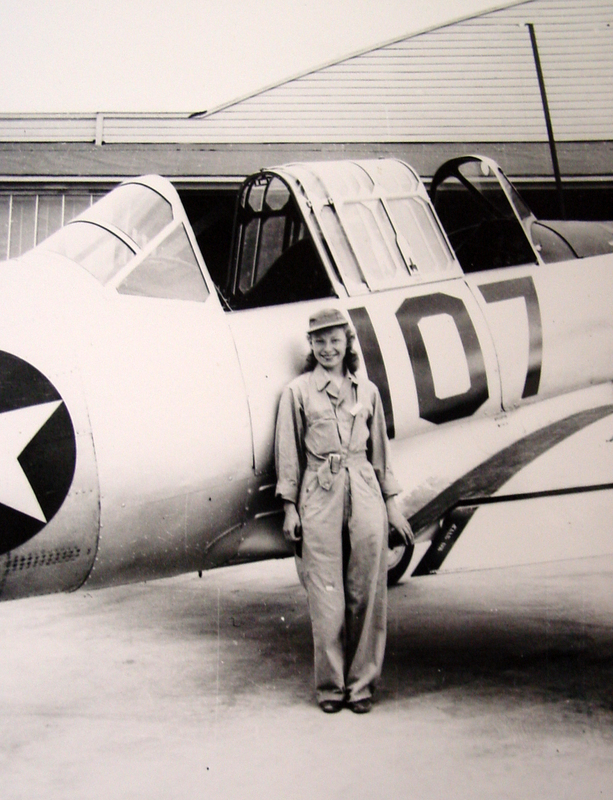 During her service as a WASP, Sylvia flew the PT-19, BT-13, AT-6, UC-78, L-2 & 5, P-39, P-40, P-47, P-51, P-63 and C-47. After the WASP were disbanded on 20 December 1944, Sylvia first returned to being a medical technician. However, she soon decided to change her career back to aviation. She was hired by a firm in San Bernardino, went through training to learn how to tear down a jet engine and rebuild it. Her main job was to block-test jet engines. It was there, in 1946, that she met and married Harry H. Clayton, an engineer at the same firm. Soon after, they began their family. Sylvia and her family lived in several different states. After her husband's very successful career in the aviation industry, they ended up in Tucson, Arizona where he started his own business. Harry passed away in 2000. In July of 2011, the personnel of the community where Sylvia lived in Tucson, gave her an extraordinary gift. They arranged for her to fly again. After the plane left the ground, the pilot turned the controls over to Sylvia and allowed her to fly it for almost an hour. As reported on the Tucson news that evening, her memorable comment was, "Why is this plane so slow!" On 3 Nov, 2001, my mom and I were privileged to interview Sylvia in her home in Tucson. It was clear that she still missed her husband, who had passed away just a year before, very much, but when she began to speak about her wonderful family, growing up on the farm, and flying, she just sparkled, and her kindness and sweet spirit filled the room. When the interview was winding up, my mom asked her if there was anything she might want to say to those in future generations-- to inspire them--or to her grandchildren or great grandchildren. Sylvia said, " Believe in yourself! Try to do what you think you want to do-- and you can do it-- you've got it in you to do it." "Do you have a favorite word?" "The Minnesota farm girl heritage that made her a good WASP imbued her values into to her surviving children, Robert and Sharon and her granddaughter, Emiley. A Tucson resident for more than 50 years, Sylvia was active for most of that time in the Casas Adobes Congregational Church. She made many friends there and at the Fountains, as well. She was active in PEO and American Business Women's Association for many years. As she grew older, life became more difficult. Sylvia was ready to join Harry, her husband and we are saddened that she is gone. We are happy to have been a part of and shared in her remarkable life"
In lieu of flowers, please make donations to Planned Parenthood, The Alzheimer's Foundation or Southern Arizona Association for the Visually Impaired in her name.